Houses & Homes VA: Are you sure your foreclosure is in the past? Are you sure your foreclosure is in the past? There are few things more devastating than losing your home in a foreclosure. If you talk to someone that has been through this process you will discover just how depressing and stressful the experience can be. For many of us this seems like something that just couldn’t happen but the truth is a series of unexpected events can place anyone in a situation where losing their home is a real possibility. Imagine losing your home and after years of struggling finally getting back on your feet. Maybe you’ve even managed to buy another home when suddenly you find out that you are being sued by your previous mortgage lender for money they lost when foreclosing on your previous home. This is known as a deficiency judgment. It is the difference between what you owed on your mortgage and what your home sold for after the bank foreclosed upon it. In other words, if you owed $200,000 at the time of foreclosure but the bank was only able to sell your home for $150,000 at that time, you could still owe them the difference of $50,000 plus court costs, attorney fees and more. Yes, it is possible to both lose your home and still owe money to the bank. Deficiency judgments are not allowed in every state and where they do exist the amount you can be found liable for may be limited. If you are unfortunate enough to have lost your home in a state that does permit these types of judgments you may not even be aware of it until many years after the fact. As an example, a debt buyer (someone that buys debt from lenders for less than the amount owed) may purchase your debt at a discount rate from your previous lender and then take you to court to collect the debt from you (and make a profit on their investment). This could even result in your pay being attached or other assets being taken away by the new owner of this very old debt. If you have previously lost a home due to a foreclosure your 1st step is to find out if deficiency judgments are allowed in your state. If not, you have no worries but if so, you might want to consult with an attorney to find out if you are at risk of being sued. Again, it all depends upon where you live. Some states allow the lender only 30 days to file a Motion for Deficiency, others are more lenient and still others don’t allow the practice at all. In addition some states allow the previous homeowner the right to argue and possibly prevent the deficiency judgment from being accepted by the court and some do not. This is one situation where won’t you don’t know can come back to bite you when you least expect it. As a final resort it may be possible to discharge a deficiency judgment by filing bankruptcy. 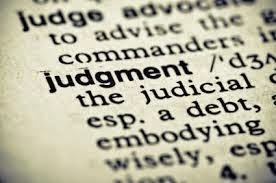 In fact, the two leading causes of bankruptcy are unemployment and these types of judgments. Sometimes this is the only solution for people in this situation but, yet again, the laws vary from state to state. If you have had a foreclosure in the past and are not sure about the laws where you live, I strongly advise that you find out if you too can find yourself in court owing a large amount of money that you knew nothing about.